Wow! What else can you say. 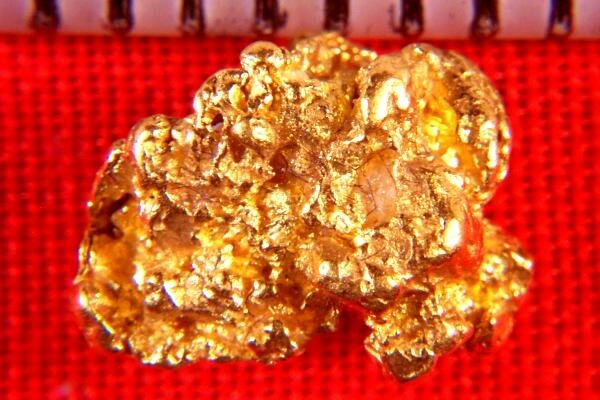 It is not often that you see a California Gold Nugget with distinct cubes and octahedrons crystals. In the first photo you can see a distinct cube growing out of the center of the nugget. 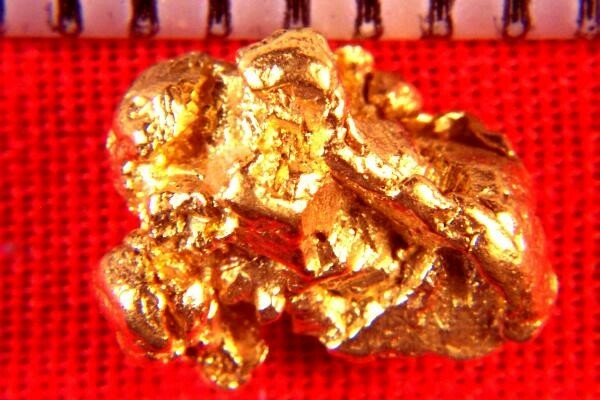 Remember that this gold specimen is all naturally formed, which is incredible. Since California banned suction dredging gold nuggets from California are rare and hard to find for sale. The incredible attached cube and octahedron crystals make this a very rare one-of-a-kind gold specimen. This truly amazing gold specimen is 3/8" (9 mm) long and weighs 30.4 Grains (1.97 Gram).